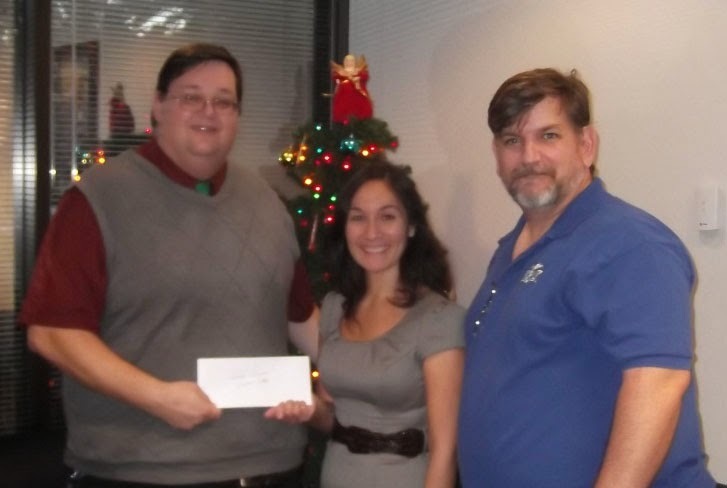 Scholarship presentation (left to right): Matthew Veach, Columbia College-Orlando campus admissions manager; Alfreda Keymann, scholarship recipient; and Doug Crowell, president of CFHEA. Alfreda Keymann, an MBA student at the Columbia College-Orlando campus, received a $500 scholarship from the Central Florida Higher Education Alliance (CFHEA) Dec. 12. The CFHEA is comprised of 25 regionally accredited colleges within the Central Florida area. Keymann attended the education fair that was hosted by the Sun Trust Bank. Out of the 19 education fairs that the Alliance hosted from Jan. 1 through June 30, 2013, Alfreda was the only educational fair participant to receive this scholarship.